Hi lovely blog readers, let me introduce you to my new career profile series. This is something I have wanted to do for ages; I am really inspired by people who love what they do and are passionate about their work, so I’ll be speaking to people who are totally winning in their chosen career and sharing some of their wise words and lessons learned. I’ll be particularly focussing on people who have set up their own business or had a career change, if you’ve read this post, you’ll know it is a subject close to my own heart! 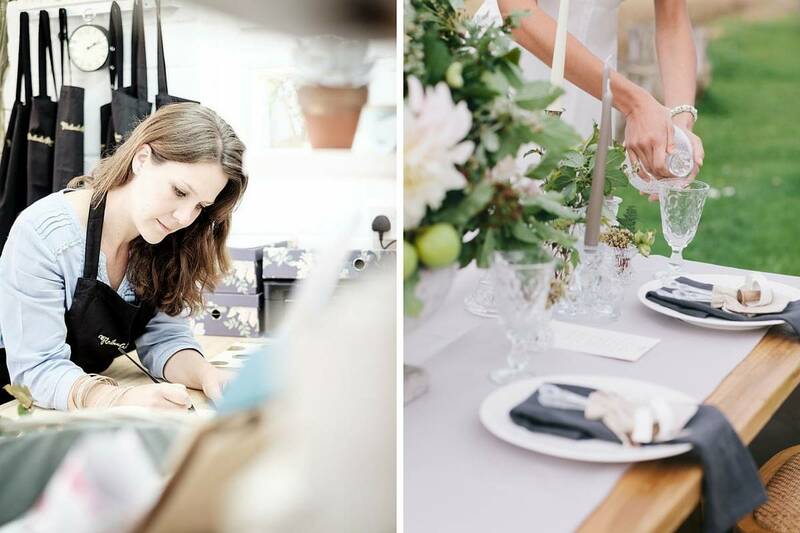 I am so excited to be featuring my lovely wedding florist as my first career profile. 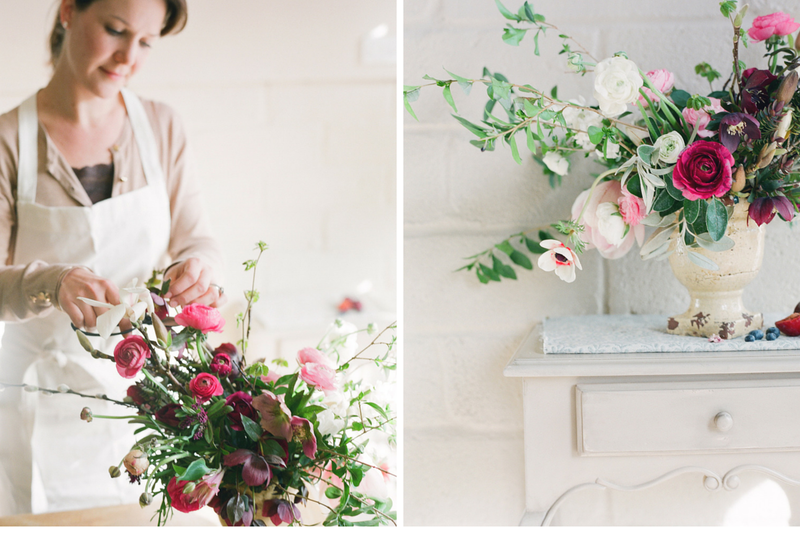 Sarah set up Floribunda Rose just over two years ago, and she has so much passion and talent in what she does. She was exactly the type of person I wanted as part of this series. Grab yourself a cuppa, and have a good ‘ol read. I challenge you to not come away feeling inspired! Oh – and make sure you make it down to her average day, it’ll have you reaching for the coffee! 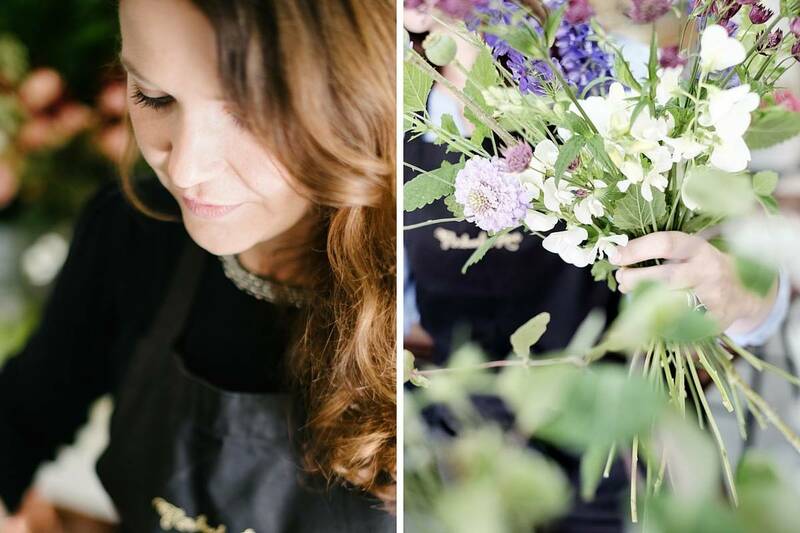 We are a truly bespoke artisan floral design workshop. Our work is not ‘off the peg’, no bride will ever have the same bouquet as another. We specialise in seasonal British flowers and foraged foliages, lending a natural, organic timeless feel to our work whilst ensuring that the elegance of the day comes across with beautiful vessels and luxurious finishing touches like our hand dyed silk ribbons. I pride myself on designing florals which reflect both the seasons and our clients, look beautiful and smell incredible. How are you different to other florists? I always use British flowers first and foremost, giving priority to locally grown flowers – my nearest grower is only about a mile away so I am an incredibly lucky florist! The beauty of being truly seasonal is that your wedding flowers won’t be around all year long, they will be there reminding you of your wedding at the right time of year; every year and when you get a scent of lilac or catch a waft of sweet pea you might – just for a moment be transported back to the day you were married and pause a while and remember… Scent is a powerful thing and for me, it is too great a sense to give up for the sake of vase life as many imported varieties do. We don’t use floral foam in any of our work, preferring instead to use methods going back to pre 1920’s using mosses and chicken wire. We compost or recycle everything we possibly can and our power is generated by solar panels. My intention is to create beautiful work without leaving a huge carbon footprint as a result. I was a nanny, working all over the world specialising in caring for twins and triplets! My multi-tasking skills are pretty well honed as I am sure you can imagine. Looking after and helping to raise beautiful children has been a huge part of my life, taught me invaluable skills and been incredibly rewarding. Did you know you wanted a change of career? I knew that once I was married I wanted to come home to England for good (there really is no place like home) and be with Marc, my now husband. 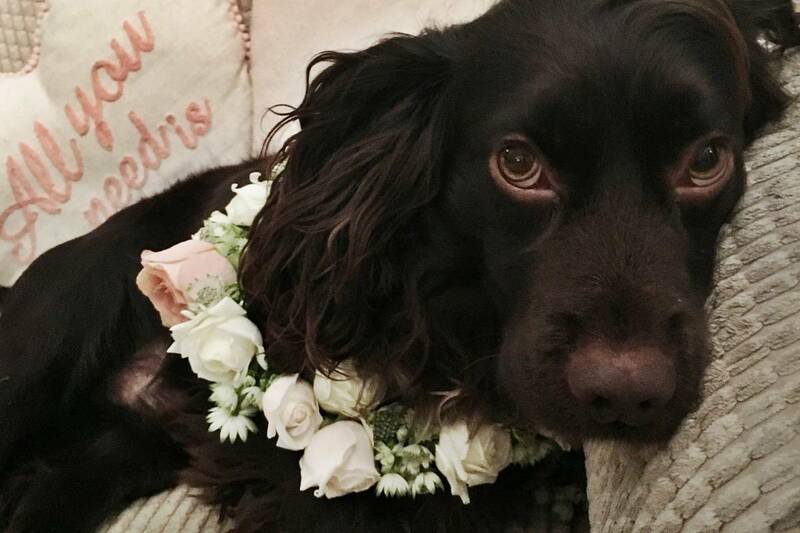 What made you turn to wedding floristry? 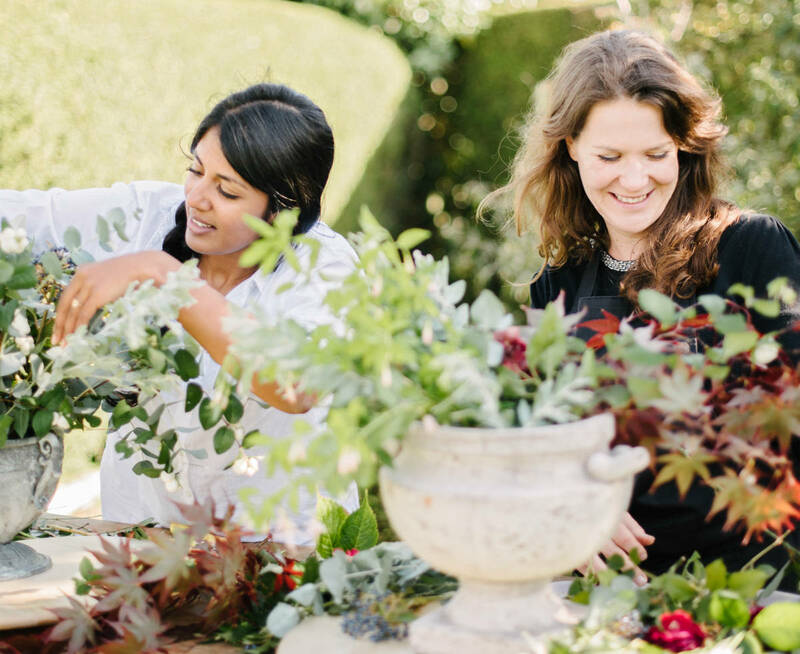 I launched Floribunda Rose in April 2014 because once I found floristry I felt I had found my ‘thing’ – I felt as though I’d found my art, my passion and my creative outlet. For the first time in my life I felt as though I could realise the creations that I would dream up, and they came into being. It had to be wedding florals because I completely fell down the wedding ‘hole’… I had never been particularly interested in weddings…but after my own I knew that I wanted to be in the industry. I felt genuinely sad thinking I wouldn’t be flicking through Brides magazine or creating Pinterest boards of wedding designs any more. I am also a hopeless romantic and absolutely love being a part of someone’s wedding day. I get so excited for each and every one of my couples who are making the most incredible commitment to one another. It’s not just all the pretty that I love, it’s the heartfelt promise to be there forever at someone’s side, through the best and the worst in life that really gets me. Were your family/friends on board with the decision? If not, how did you bring them round? I think initially some friends thought it might be a fad that I would get over, but anyone who really knows me knows that if I put my mind to something, no matter what happens I will make it work. A couple of family members were incredibly supportive but did mention on a number of occasions that ‘at least I had a decent career I could fall back onto if needed’ which I know wasn’t meant unkindly. It actually made me more determined to succeed than ever. The greatest challenge has been time – not having enough. Thankfully Marc is incredibly patient with me working silly hours and helps me wherever he can, but it is challenging to find enough time spend time with friends and family as well as running a growing business. Happiness. Knowing that Floribunda Rose has delivered all that it sets out to makes me feel incredibly proud and grateful and happy. Every thank you card I get from a happy couple who loved their flowers tells me that all the hard work, time, effort and piece of my heart that goes into every wedding we do has been worth it, and makes me want to do it all over again! I’m not sure that there is such a thing but… Thursdays are usually my collecting and prepping the flowers day so let me tell you a little about how that usually goes. I’ll get up around 3.30am, get showered and dressed as quietly as I possibly can and head off to New Covent Garden Flower market for flowers and/or foliages. I’ll collect my order and usually have a look around to see if there’s anything else that I think I simply must have…some incredible foliage or a flower that would look just perfect in an urn arrangement. I always have a cup of Earl Grey tea thanks to the lovely boys at GB Foliage and then I hop back in my car around 7am. I’ll watch the sun come up on the way to or back from market (depending what time of year it is) and listen to the radio to find out what’s going on in the world…it’s all too easy to get stuck in my wedding world bubble and be totally clued up about wedding trends and the pantone colour of the year and be completely oblivious to what’s happening in the rest of the world! If I’m having flowers delivered from Cornwall they’re usually there once I return so they all get unloaded along with my market flowers. Once I’ve unloaded all of the flowers and foliage I will check and condition every single stem, pre treat any that need it and assign each stem to the design it’ll be used in, bouquet, floral crown, buttonhole or archway. I’ll run through everything that I’ll need for the next event and double check that everything is clean, has batteries (fairy lights etc) is in perfect condition and that I have the right number of candles, lanterns etc and label everything ready to be packed up on the van. Cappuccinos keep me going! Then I’ll head home, walk my hound, (I have a working cocker spaniel called Elvis) check my emails and head off for venue visits, client meetings or to meet with suppliers. I’ll be home for supper and to make sure there are no urgent emails to reply to, and then I’ll head out to play netball. It’s got to be handing the bride’s bouquet to her on the morning of her wedding and wishing her the most wonderful day of her life. If I could just bottle that feeling… it’s the best feeling in the world. I still get ‘the fear’ every time I make a bridal bouquet, because I want it to be the most beautiful and meaningful bouquet that she has ever held in her hands, and I want her to adore it and for it to reflect her and enhance her on her day. With great pressure comes great reward though, and it’s the absolute best when she loves it and you know that you’ve got it just right. You have already expanded to include workshops and buckets and bouquets. Tell us a bit more about these. Were it not for workshops I would never have got into floristry so they are very close to my heart. I love sharing the skills that I have picked up along the way, and feel genuinely delighted when students come along saying ‘I’m not going to be very good at this’ and then leave with beautiful bouquets and arrangements that they can’t quite believe they made themselves. My collaboration with Niki of Bucketsofblooms.co.uk is one that makes me really happy too. Niki (my very local flower grower) sells buckets of flowers for brides to arrange themselves and we (at Floribunda Rose) make the bouquets, buttonholes and corsages professionally so that brides don’t have to worry about making any of those on the morning of their wedding. 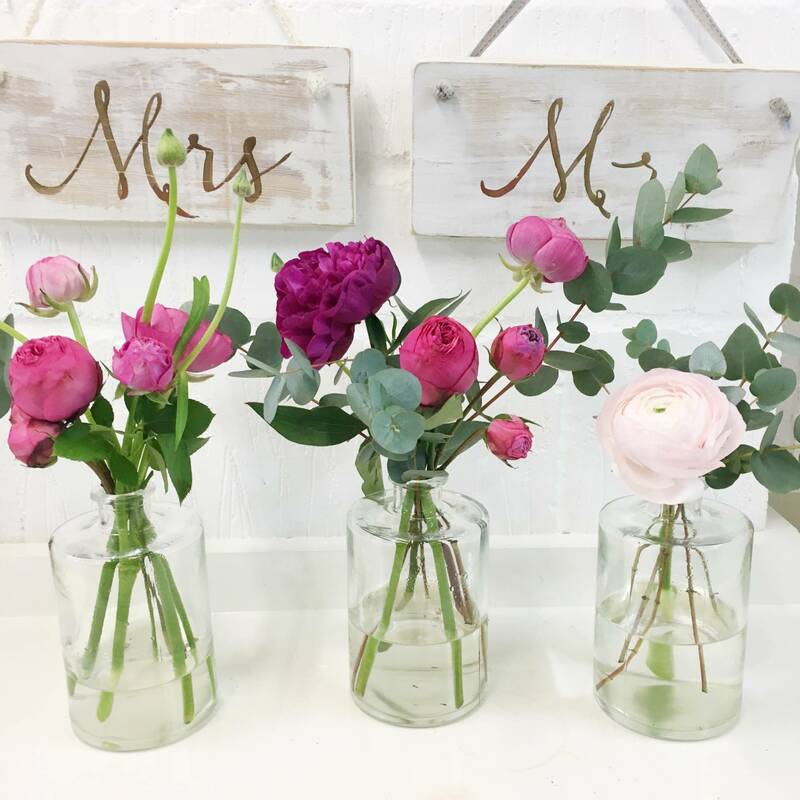 They get to choose which style of bouquet they would like and we make them with gorgeous seasonal British flowers from Niki’s field to compliment those in their buckets. What are your future plans for Floribunda Rose? I would love to have a barn which would have a working floral design workshop on one side and a coffee shop selling organic artisan cakes and pastries alongside British flowers and floristry sundries, beautiful cards and gifts too. People could come and see the flowers being conditioned and arrangements being made and appreciate the skill and the artistry as well as the time that it takes to create beautiful designs, and come along to workshops themselves if they were so inspired. Do you have any tips for our readers who might like to turn their hand to floristry? I would say go on a few different courses – we all have our styles so trying a few different ways can be really useful to see what your natural style might be. I’d make a beeline for florists using British flowers if you’re going to be using home grown flowers yourself as they’ll reflect the nature of the flowers you’ll be using. What advice would you give to someone who wanted to set up their own business? I would say that it is hard, harder than I ever expected or realised it could be at times. You will need time, patience (lots of it) and a decent chunk of money to get going unless you’re happy to build things up very slowly. Research is key and do put together a business plan, you may well alter it along the way, but it’s really important to have something to work from and to come back to. Spring ~ It’s a close run between lilac and peonies, and peonies just about win…they’re just so sumptuous! Summer ~ Garden roses; my absolute favourite scents of the summer. Autumn ~ Café au lait Dahlias, because they are just exquisite. Winter ~ Hellebores, for their simple elegance and rich colours. Favourite thing to do on a Sunday? Head to the beach (usually The Witterings) with Marc and Elvis, a bottle of something chilled and an afternoon with nowhere else to be. Favourite travel destination? In the UK ~ Babington House. In the world ~ Boli Fushi Island in the Maldives (actual heaven). Favourite way to relax? Huge cup of earl grey tea, Simple things magazine and no phone (preferably with a little dog curled up next to me for a cuddle on the sofa). I never do stay still for very long though! 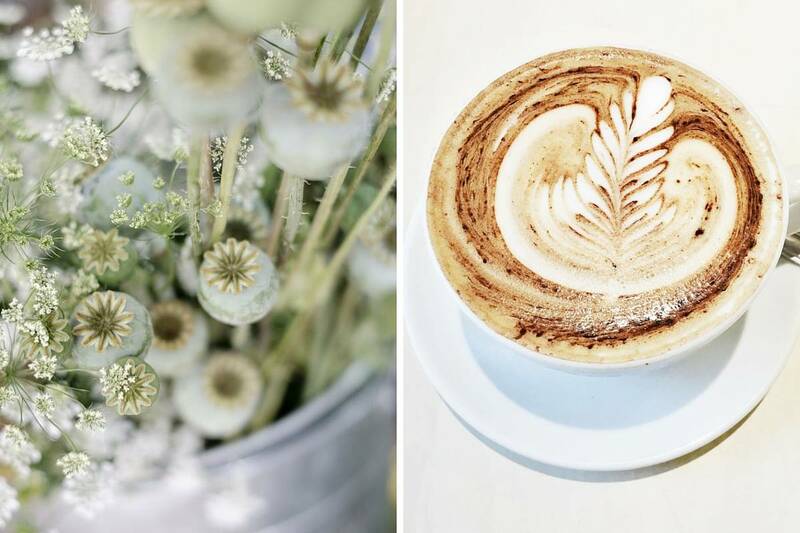 Favourite blog or Instagram account? 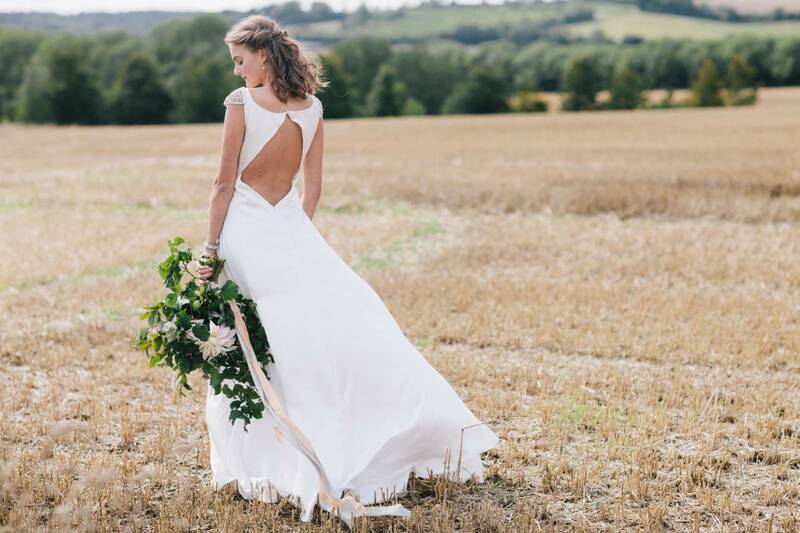 @taylorandporter on Instagram… Louise’s photos are just perfection every single time. What is the best piece of advice you have been given? ‘Wisdom is the daughter of experience’ is right up there for me. We’d love to read your comments in the box below. Amazing insight to her profession!! Sounds amazing but hard work!! !